It's Bermondsey Carnival today in Southwark Park and unlike the usual free London festival with line-ups of people you've never heard of, the Carnival has managed to secure musical legends Chas 'n' Dave to headline at the main stage. Alongside the headliners, a full afternoon of music also promises blues, reggae, ska, indie, choirs and Irish dancing, as well as a Millwall FC bus, a travelling Cabinet of Curiosity from the sadly fire-damaged Cuming Museum, facepainting, craft, herbs for sale, a wallpaper designing fundraiser for Beating Bowel Cancer and food and drink, so there should be something for all. 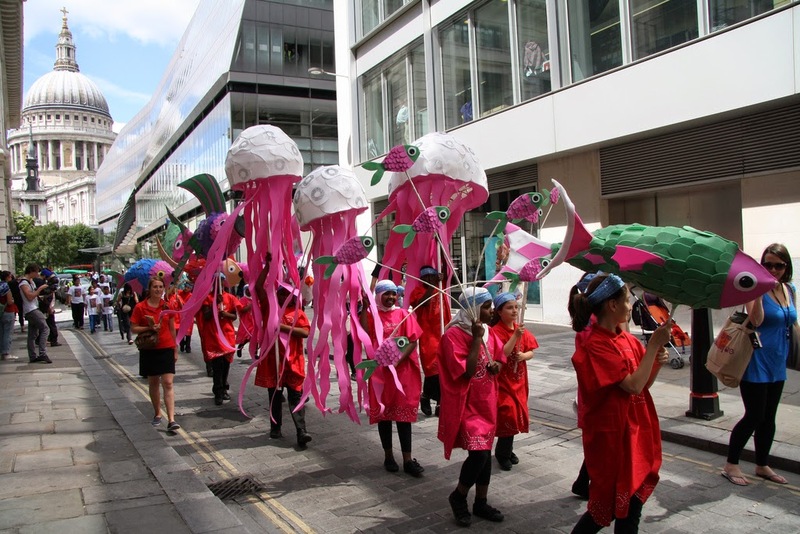 The City of London Festival is in full swing, and this lunchtime the streets of the City close as 1,400 children take over, with dozens of schools participating to recreate celebrated children's books in an ‘Off the page!’ theme. 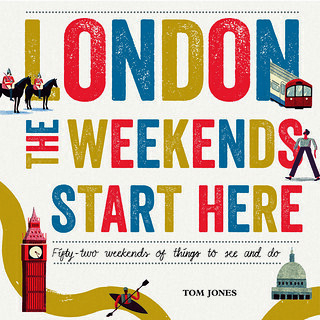 The parade kicks off at 12.45pm at the Guildhall, crossing Guildhall Yard, heading up Cheapside, across Paternoster Square and to end at St Paul's Cathedral West Steps, where the event will culminate with a special performance from the Royal Shakespeare Company's Matilda the Musical. 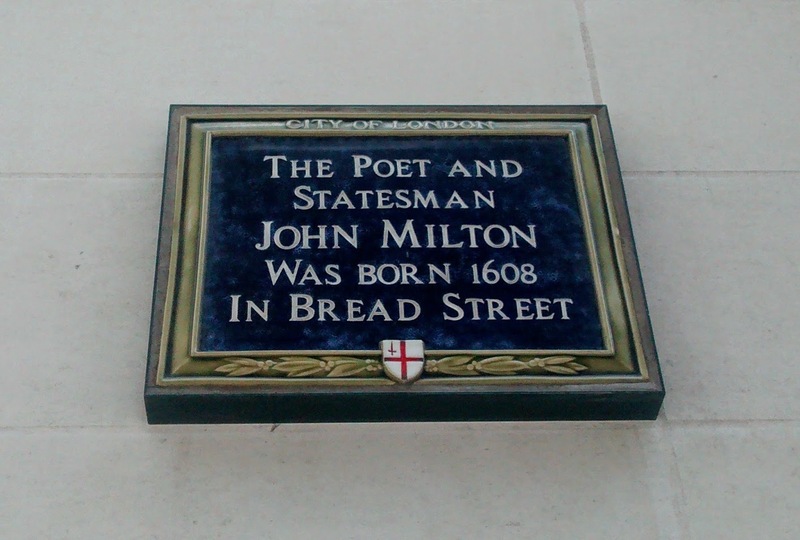 When the poet, man of letters and assistant to the government of Oliver Cromwell, John Milton, was born to composer and scrivener John Milton and his wife Sarah Jeffrey in a house and scrivener's shop - marked by a Spread Eagle sign - in Bread Street in 1608, it was rather a different place to the street we see today. Cheapside and the streets just off it were the heart of London's market, confirmed by street names such as Bread Street, Honey Lane, Milk Street and Poultry, and the street half-timbered buildings and exactly the sort of post-Medieval street scene we might expect. 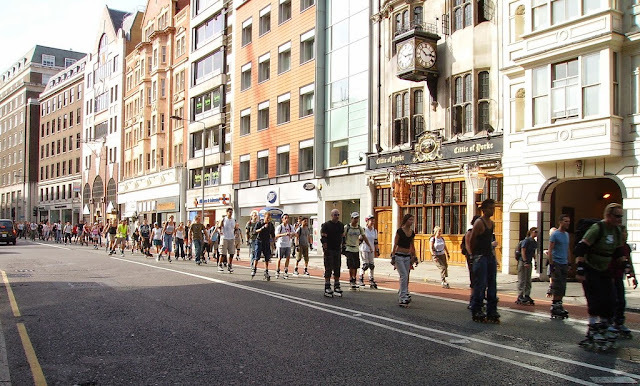 In the Norman period, one of the City's few brothels was located in Bread Street, and it was also once the location of a prison, but during Milton's lifetime the Great Fire of London brought great change to the street, destroying All Hallows Church where Milton had been baptised, and much of the earlier buildings that lined the streets, a fate which befell many of them again during the Blitz. 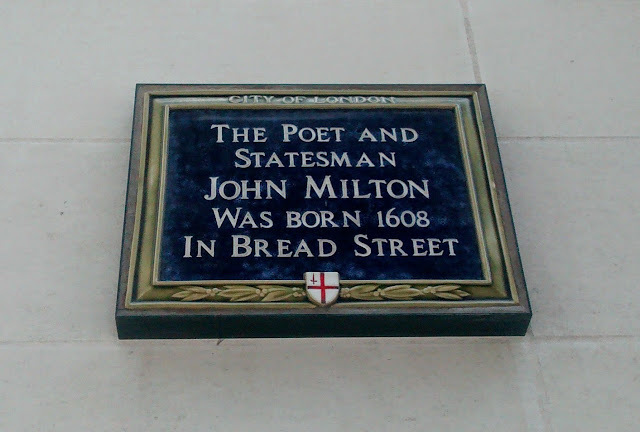 Today, the street is filled with anonymous-looking office blocks and a big shopping centre, but a plaque still remembers its famous son, who spent most of his life in the City, also living at Bunhill Row, where he completed Paradise Lost, and hiding after the Restoration in a house in Bartholomew Close in Smithfield. 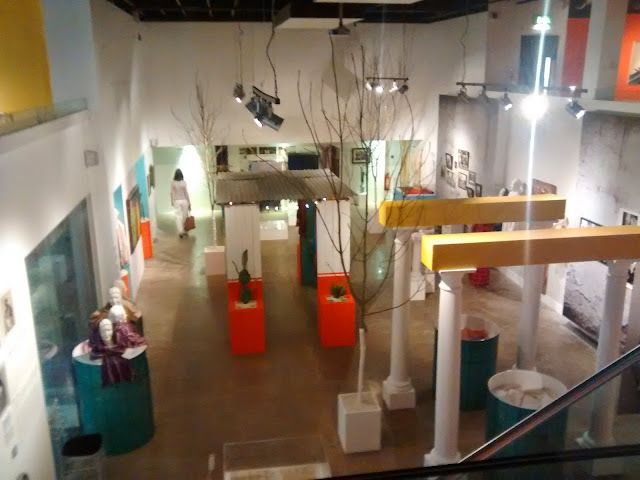 Before yesterday, your author had never been to the The Fashion and Textile Museum, Bermondsey Street's small but insightful cultural highlight, established in 2003 by fashionable sort Zandra Rhodes, but decided to pop in to learn about the Rebozo, a cross between a scarf and a shawl traditionally worn by Mexican women. Whilst the exhibition is undoubtedly aimed at those with more than a fleeting interest in the application of traditional styles to modern fashion, for the amateur it is more interesting as an introduction to the existence of the Rebozo as an item, its history and design, and there is certainly a lot to learn, from the Rebozo's pre-colonial origins, to great examples and other items on loan from the Franz Mayer Museum in Mexico City; the Museum of Textiles in Oaxaca and the British Museum, and finally upstairs to new designs and pieces of art inspired by the garment. 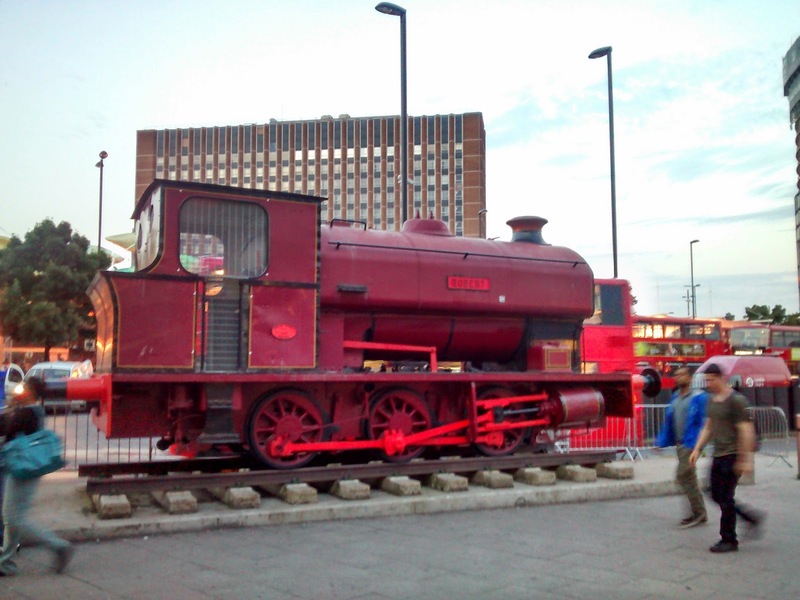 An 80 year old 38 tonne 0-6-0 saddle-tank steam engine sits on a very short section of track outside Stratford station where he returned in 2011 having been on holiday to the East Anglian Railway Museum. Robert was built in Bristol in 1933 by the Avonside Engine Company for Lamport Ironstone Mines Railway in Northamptonshire before moving to heritage railways in Buckinghamshire, Staffordshire and Derbyshire then being bought by the Dockland Development Corporation in 1993 for the Kew Bridge Steam Museum. 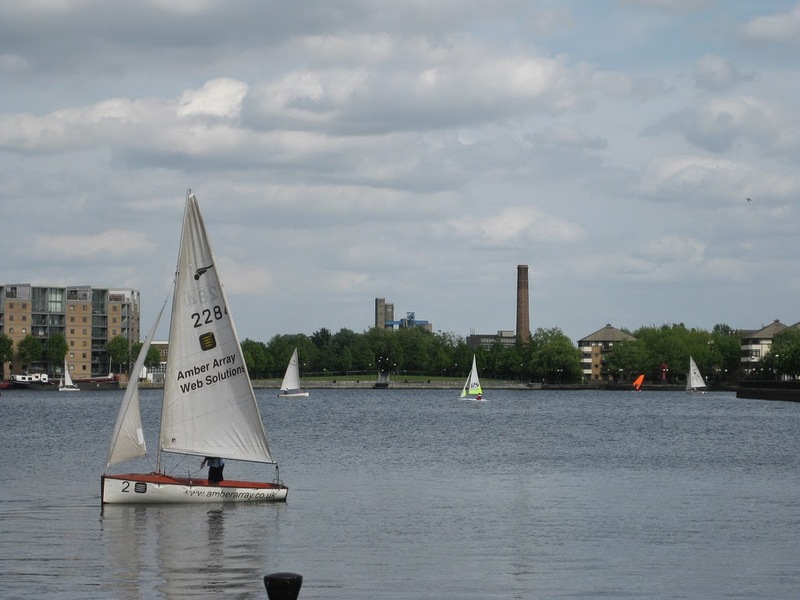 Robert then moved to east London in 1994, to Beckton, but due to some vandalism the decision was made to send him to Stratford in 1999, where he remained until 2008. He was then moved to the East Anglia Railway Museum at Colchester for repainting, and returned to Stratford a few years later in what was officially described, for those who love Olympic jargonese, as a “softer legacy benefit” of the Olympic Games. 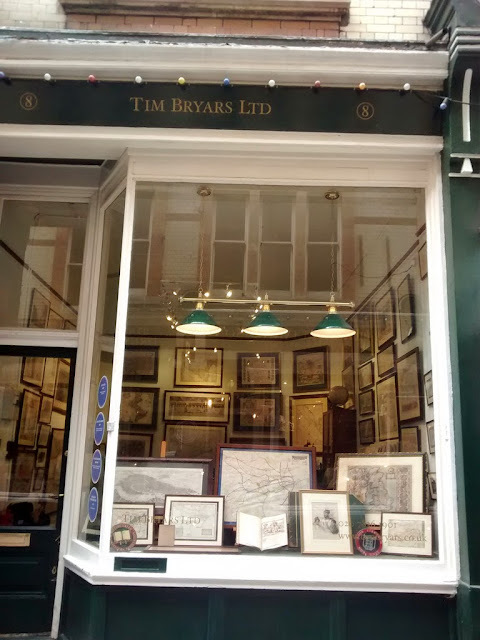 Established way back in 2004, when a million pounds bought a large house in London and The Streets roamed the charts, Tim Bryars is an antiquarian book and map shop established by a gentleman of the same name who had previously traded as a company called Paralos, based in an office in Oxford Circus. 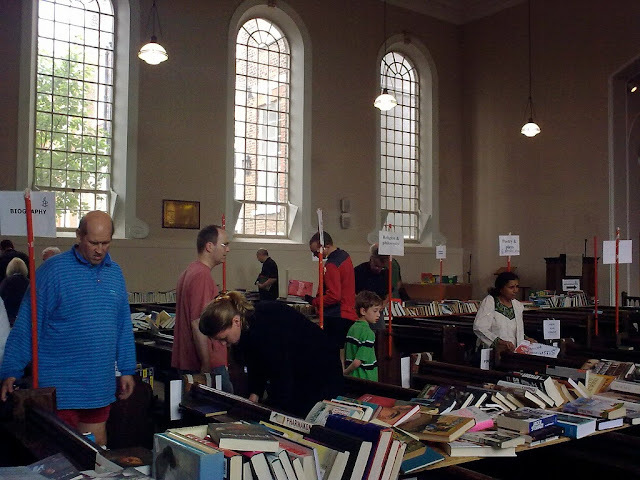 As well as antique topographical and natural history prints, Bryars also sells printed books, classical texts, history, literature and travel books, with prices ranging from £30-£30,000, and everything on offer is original rather than the facsimiles and reproductions peddled in some other such shops. Your author rarely visits the hotels at the top end of London's range, but when an invitation came from friend and hotel expert Rajul Chande recently to sample a special afternoon tea at a hotel that is consistently rated one of London's best by its customers, it seemed like a decent opportunity to catch up with Rajul and see how the other half live, and any usual principles on these things went out of the window. So it was that we met in the rather grand lounge of the hotel, surrounded by business people having "important" meetings and one American teenage guest having an even more important mobile phone call, and were served finger sandwiches, a selection of small English specialities like Toad-in-the-Hole-in-a-Blanket and a mini Beef Wellington, and some cakes and that sort of thing. 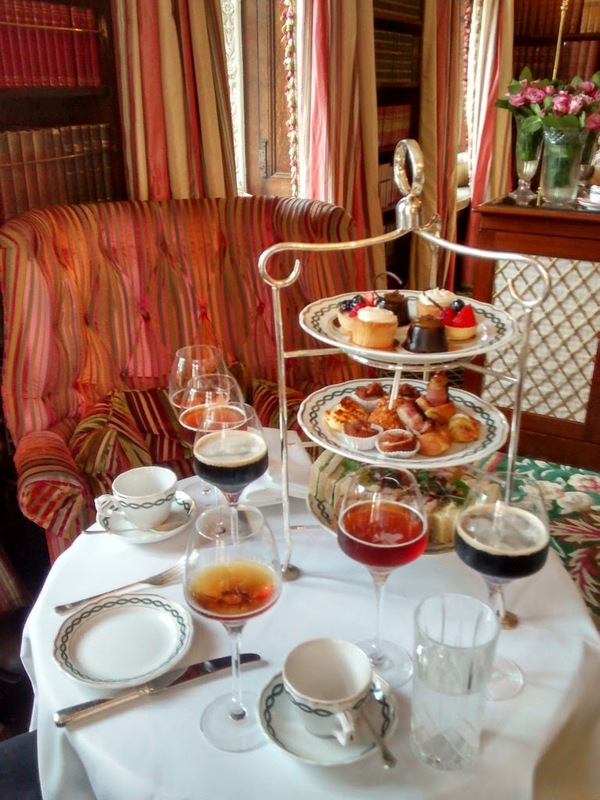 There was also tea, there was definitely tea, and given that this was a specially-branded Gentleman's Afternoon Tea, there was also a choice of an ale flight, or a whisky flight. Though the ale choice we were served - Bishop's Finger, Old Speckled Hen & Guiness - felt a little pedestrian, the whisky list at least sounded a bit more interesting, with a Scapa 14 year old from Orkney, an Auchentoshan Three Wood and a Glenmorangie 18 year old on offer. Towards the end of proceedings, there was also a rather left-field bacon scone, which is exactly as confusing as it sounds, though it turns out to be pleasant enough if you think of it as a savoury snack rather than a scone. And then, after a glass of iced water, we were thrust back out into the Kensington sunlight for the walk to the tube, for even at just shy of £50 you don't get to keep your seat forever. Disclaimer: We didn't pay for our afternoon tea, and your author only agreed to go as the invitation came from a friend. PR people, please do not send constant afternoon-tea related emails, as they will be largely ignored. Over the last two weeks, London's biggest bookshop closed the doors at the building it has occupied since 1929, leaving it looking forlorn and empty. 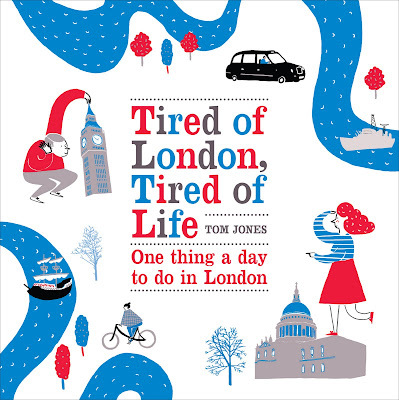 However, as many readers will already know, this is not another sad story of bookshop closure, but instead a positive tale of bookshop success, with Foyles moving to the building next door, and opening a new flagship store with nearly 40,000 square feet of bookshop, four miles of shelves and four bookshop floors, plus two more for a cafe and events space. The new shop occupies what was once the home of Central Saint Martins College of Arts and Design, the famous art school, and the new shop - the largest bookshop to open in the country so far this century - feels more open and easy to understand than its predecessor, where sometimes identical-looking floors and a lot of books crammed into a limited space meant that it was inevitably more friendly to idle browsers than those looking for something specific. 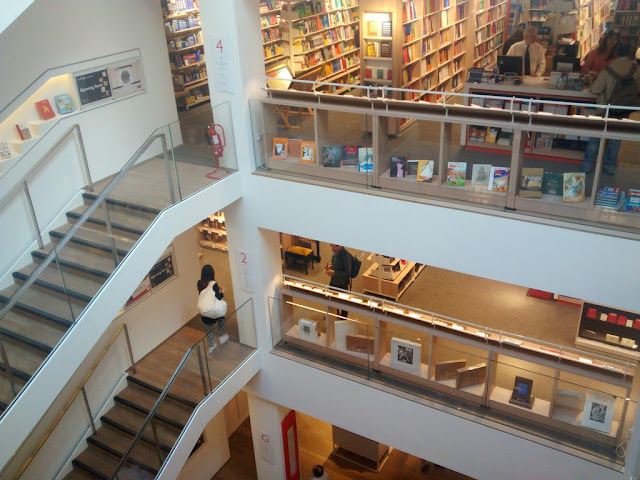 The new shop also has a large atrium in the middle, which helps easily-confused customers like your author to understand which floor they are on, and will soon have a new larger cafe on the 5th floor to replace the much loved Ray's Jazz Cafe next door. For those who are mourning the movement from of the old shop, it is worth noting that this is the third Foyles building in Charing Cross Road, and though the 113-119 was heralded as the 'world's first purpose-built bookshop', the shop was at 135 Charing Cross Road from 1906 until 1929, and the original Foyles was in Queen's Road, Peckham. Yesterday morning, your author was meeting a friend in New Cross and LP Bar at 401 New Cross Road was chosen for the purpose solely on its strategic location. 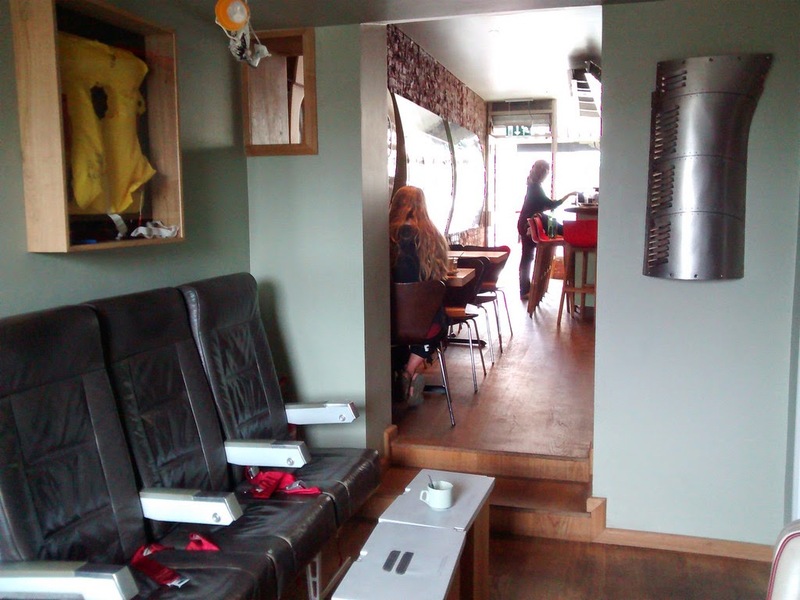 Part of the longer-established London Particular cafe and restaurant, LP Bar opened earlier this year in a relatively small unit on New Cross Road, and is surprisingly and rather charmingly decorated with aeroplane-themed paraphernalia. So what was scheduled as a short chat over a cup of tea turned into a very pleasant half hour relaxing in genuine aeroplane seats over tea and warm chocolate and banana cake, allowing time to take in framed lifejackets, flight maps, pieces of fuselage and other aeronautic items. On a Monday morning it was relatively quiet, but in the evenings LP Bar serves booze and has potential to get much busier, which is no bad thing. As you've probably heard, this year marks 300 years since George I ascended to the throne, plucked from relative obscurity as Elector of Hanover in 1714 to become King of Great Britain and Ireland. 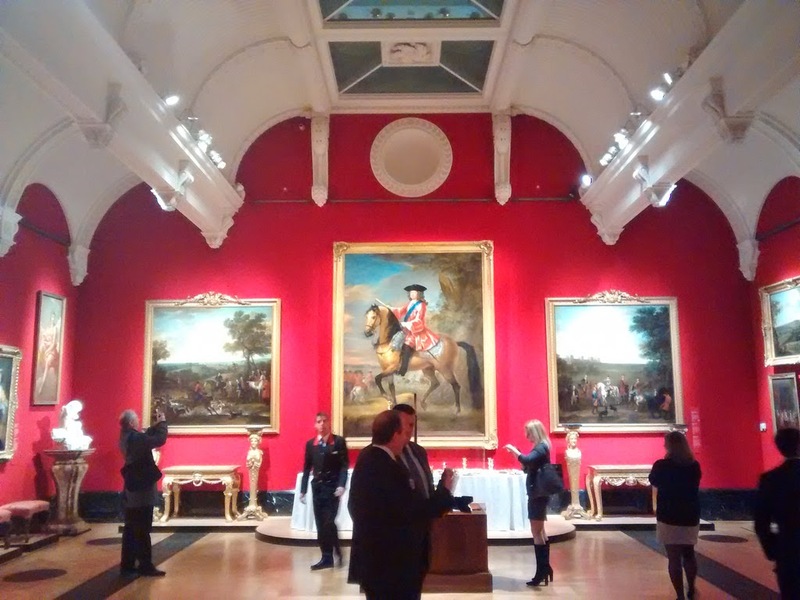 Over at that bastion of monarchy, the Queen's Gallery at Buckingham Palace, they're keen for you to mark this occasion with a trip to their exhibition The First Georgians: Art & Monarchy 1714-1760, which draws on the wealth of art and treasure in the Royal Collection to illustrate the period in question. Your author popped in a few weeks ago at the invitation of the Gallery and despite reservations that it might be an exhibition made up entirely of big pictures of Kings and Queens, there was plenty to entertain those who aren't fervent monarchists, such as two views of the Thames by Canaletto, an interesting View and Perspective of London, Westminster and St James's Park by Johannes Kip, some plans and impressions of the Battle of Culloden, some very interesting botanical drawings, a collection of Hogarth Prints and a recreation of a Georgian coffee shop. Meanwhile, for those who love that sort of thing it's a veritable feast of pictures of aristocrats and Royals eating, riding horses, standing about and fighting. 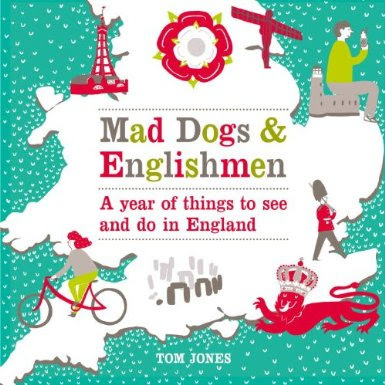 It's all worth a look if you have the time and money, and is certainly the sort of thing that visitors to Buckingham Palace will be hoping for. It's Refugee Week this week, and as well as remembering the countless souls who have sought refuge in our city over the generations, it also offers a rare opportunity to visit 19 Princelet Street, London's museum of Immigration and Diversity. 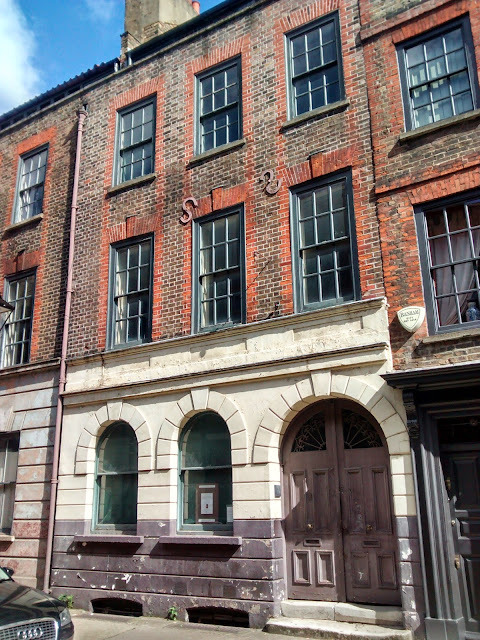 This inspiring building was built in 1719 by Samuel Worrall in what were then open fields on the edge of the City of London, and was once home to the Ogier family of Huguenot weavers who had fled France due to religious persecution. 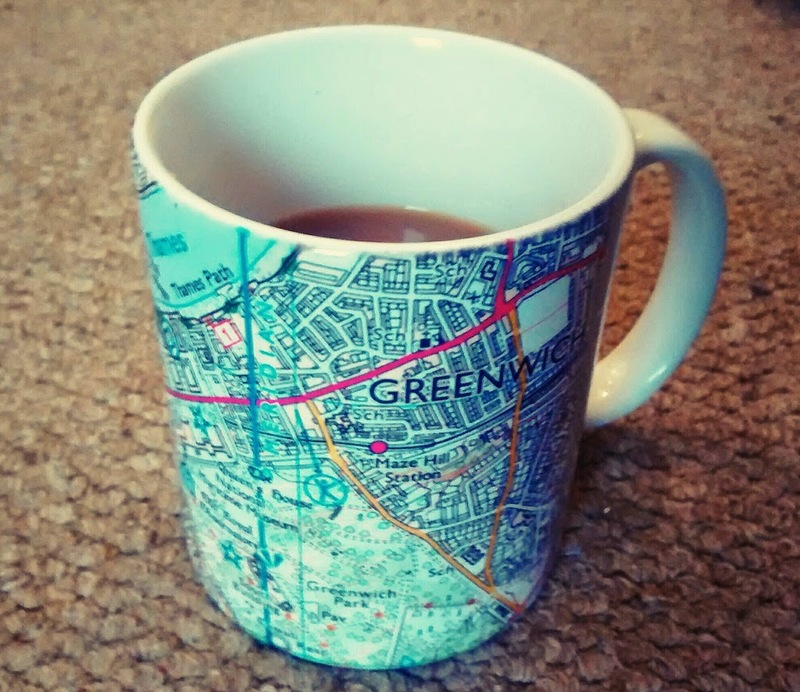 Its story involves a number of other groups of refugees, offering a fascinating insight into how immigrants have shaped East London. The fabric of the building is very delicate and hence it is is open only rarely so today's opening from noon until 4pm and next Sunday's and next Sunday, 22nd June. Your author will be volunteering today and anticipates the usual queue of interested souls waiting to get inside. With the World Cup now well under way, London is awash with football, and "We" are playing our first match in Brazil tonight. 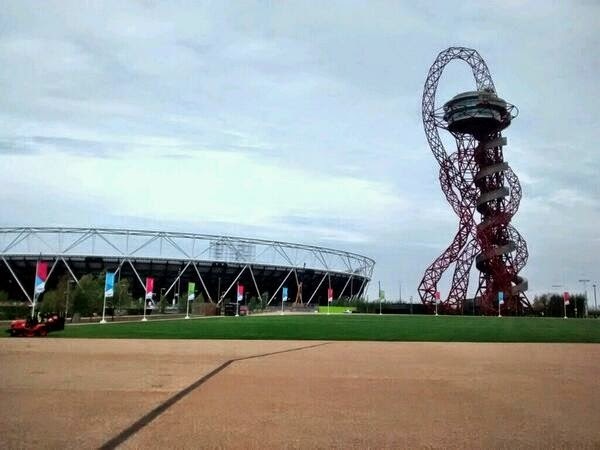 Meanwhile, non-profit organisation Footy For Food is attempting to seize a little of that energy for a positive purpose, encouraging us to visit the Olympic Park today and play a game of football and give donations to our local Trussell Trust foodbank. It's part of a national tour which has taken founder Richard Loat to ten cities in the Great Britain and Northern Ireland over the last ten days and is set to transport the model to Paris and Spain over the next week, and to two cities in Brazil before the end of the month. Today's football continues from noon until 6pm and is open to anyone to show up, just bring your kit and some donations for the food bank. 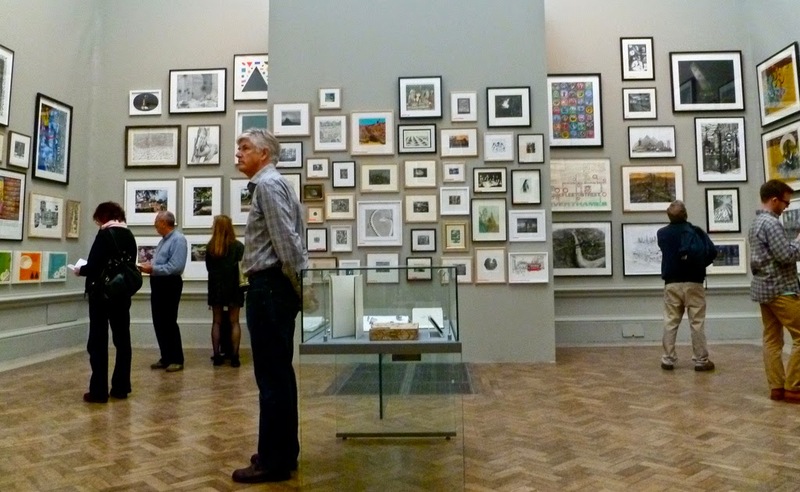 This year's Summer Exhibition at the Royal Academy opened on Monday, the latest in a series of summer exhibitions that began in 1769, and nearly 250 years later is the world’s largest open entry exhibition. Whilst your author has not yet visited, we are told that a variety of works have been whittled down from 12,000 submitted art works to 1,200, and are as usual pleasingly packed into limited wall and floor space in the galleries, which usually makes visiting an exciting experience, as it can feel like you might notice something that others don't. Anyone can enter if they think their work is good enough and last year around 70% of exhibits were by artists who are not members of the Academy, so if this year's exhibition inspires you enough you can even consider entering yourself next year. There is even a chance to win the Charles Wollaston Award won previously by the likes of Jake and Dinos Chapman and David Hockney. With the World Cup kicking off this evening in São Paulo, the Brazilian Embassy in London invites us to down tools today and head to Trafalgar Square for a free festival of Brazil’s culture and football from noon until 7pm. 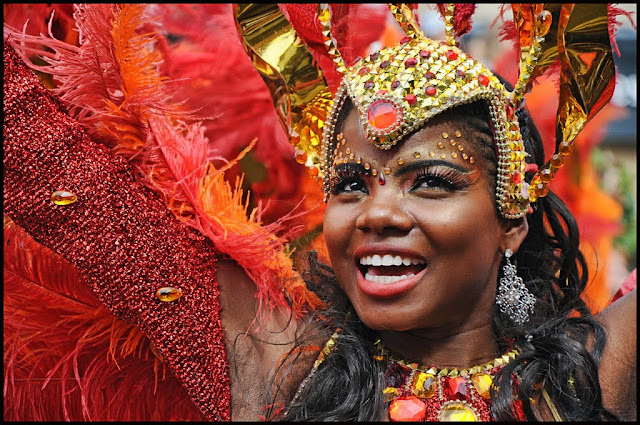 The day will feature live music, DJs, dance lessons, football and capoeira, and tonight the drums and dancers of the Paraiso School of Samba will bring things to a powerful climax. The questionable part of the day's events is that the Brazil vs Croatia Match at 9pm will not be screened, but there are two hours to find somewhere to watch it afterwards, but with a diverse range of acts, bands and DJs such as DJ D.Vyzor, Maracatudo Mafua folk dance, Gilles Peterson, the London School of Capoeira Heranca and bossa nova musician Monica Vasconcelos, there is plenty on offer to entertain us beforehand. In 1828, the Conservatory was planted with the camellias and amazingly a number of the plants still exist today, making it the oldest such collection in England, including rare plants such as the ‘Middlemist Red’, which is found in only one other place in the world. 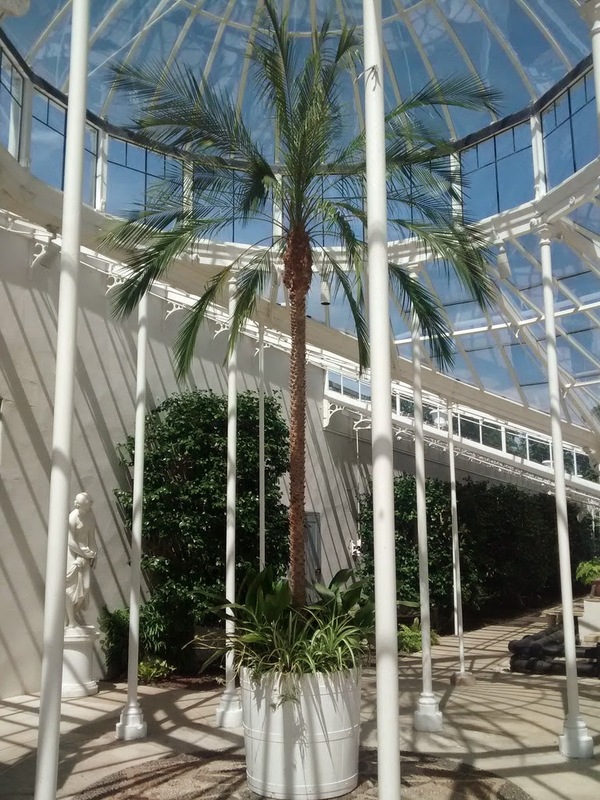 Having been rebuilt in the 1930s, the Conservatory had started to fall into disrepair, but has recently been restored thanks to the work of the Chiswick House and Gardens Trust. Pimlico is an interesting corner of the capital which sometimes seems of another age, full of little town house hotels and independent shops. 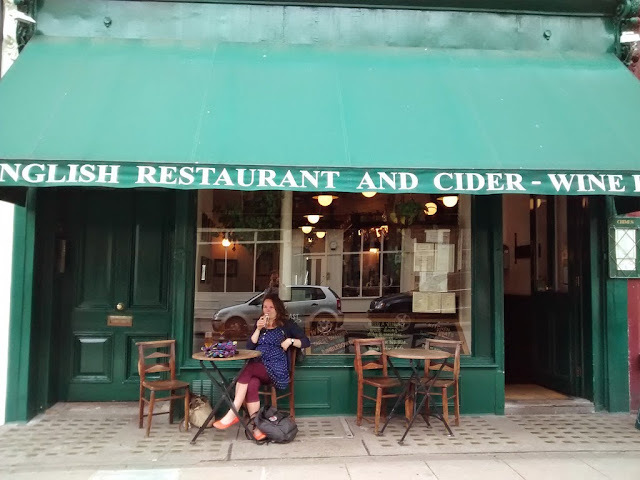 It was a welcome surprise, therefore, when the opportunity arose to drop into one local anomaly last week, and enjoy half an English cider at Chimes of Pimlico, a quaint wood-panelled English restaurant and bar which specialises in hand-pulled half-pints of still cider and steadfastly refuses to serve beer. 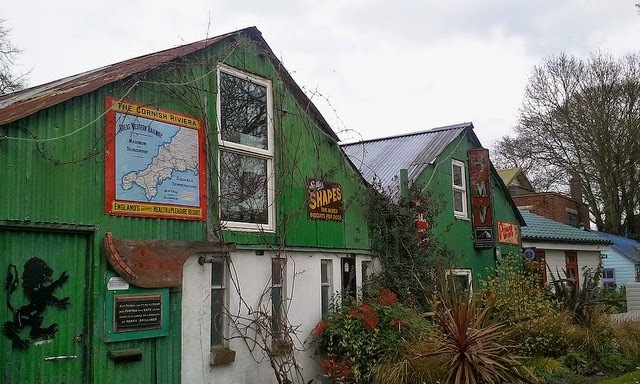 Chimes was established in 1983 and has not much has changed since then, with daily opening hours still fixed at lunch & supper (12 - 3pm and 5.30 - 10.15pm. ), and though your author has never dined here the reviews seem strong and the food seems fairly reasonable considering the central London location. 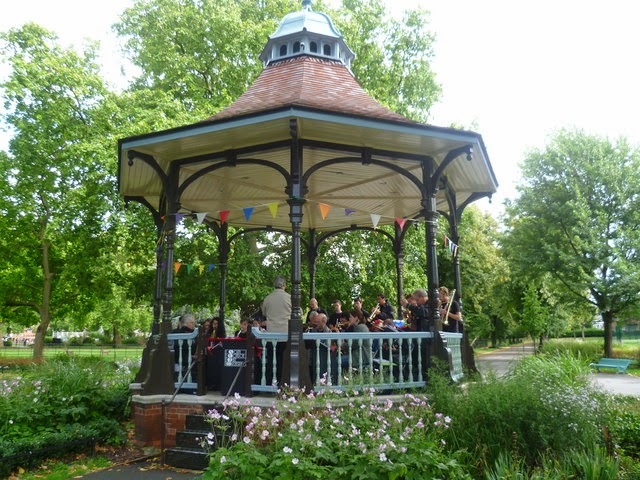 Holloway's Whittington Park hosts a free party this afternoon, as part of the 12th Holloway Arts Festival. 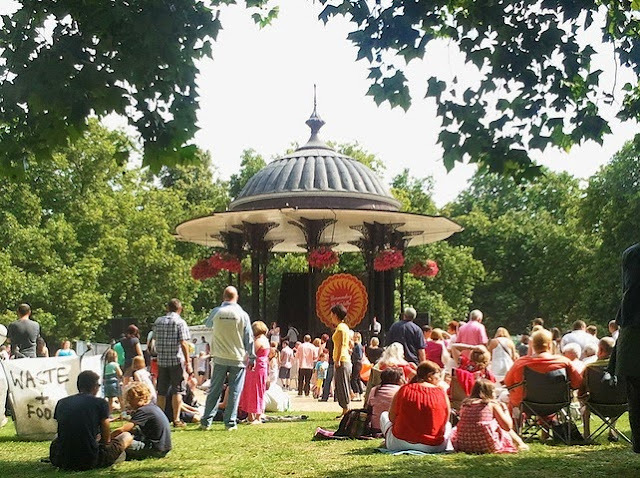 Attendees are promised music and entertainment from 1 - 5pm with arts and crafts, street theatre, film-making, and workshops in badge-making, hat-making and mosaic-making. 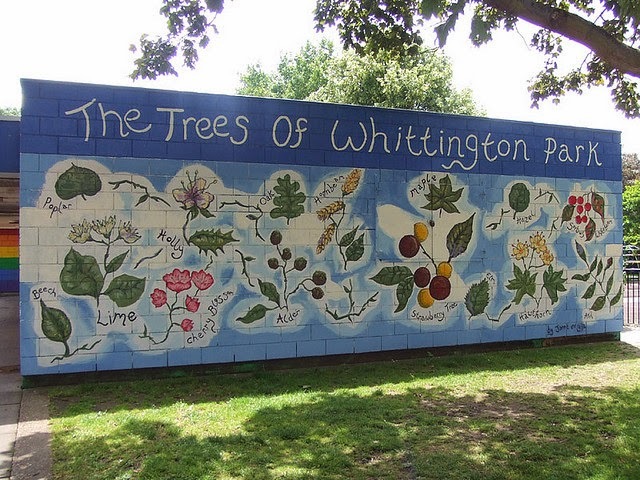 There will also be a dog show, 20 cheerleaders, Latin and Ballroom Dance and Tai Chi and stalls from the Cats Protection, House of Hodge Charity bookshop, the Dogs Trust, Cubitt Artists, the Islington Pensioners forum and the North London Waste Authority, amongst others.